Hussey Seating specializes in fixed audience seating that comfortably supports your audience and enhances your space in stadiums, theaters, lecture halls, auditoriums, performing arts centers and places of worship around the world. There’s an indisputable richness and warmth to wood finished seating that has always attracted the performing arts and theater markets; but the real desire has always been for customization. So we set out to give you something more by crafting attractive furniture-quality designs that delve far beyond traditional solutions. The entire theater experience is emotive, artistic, and dramatic and your audience deserves the enhanced sight lines and acoustics that can only be found with the Quattro Art Series by Hussey Seating. 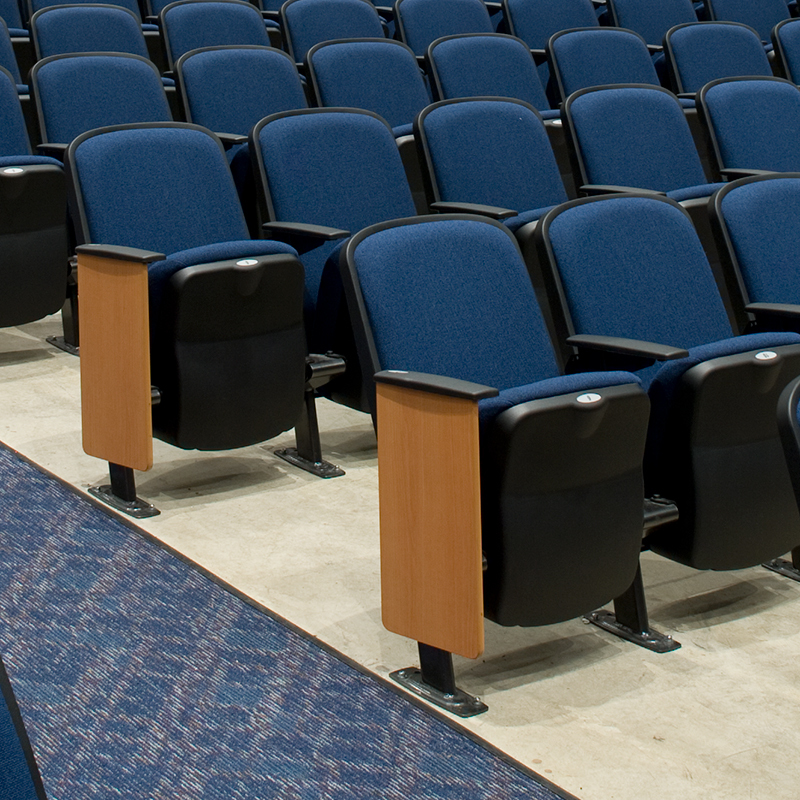 You need fixed auditorium seating that stands out. Choosing Quattro seating for your theater, lecture hall, school auditorium or performing arts venue charts the way to an extraordinary audience experience. A modular series of fixed auditorium seating options designed for many different auditoriums, you can precisely tailor Quattro fixed seats to your private or municipal venue. The Quattro Traditional Collection brings back the classic look you enjoyed in the past with all of the comforts and ergonomic support today's market demands. Plus, every Quattro fixed auditorium seat is backed by the Hussey Seating limited lifetime warranty—the best in the business. When you need sports arena and stadium seating that works hard and plays hard, you need Hussey Seating Company stadium seating solutions. Whether you're upgrading battered bleachers with Perma-Cap and Perma-Plank vinyl bleacher covers or adding Hussey Seating stadium chairs to your world class arena - you're getting the most reliable, durable and comfortable sports seats in the game, and each one is backed by the seating industry’s best warranty.